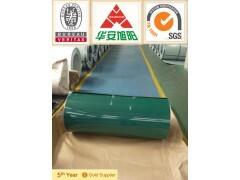 Verified supplier -Tianjin Huaanxuyang Steel Trade Co., Ltd. Product detail: The quality of our PPGI for chalkboard/writing board is excellent and could reach same level of the product from union Steel and so on. But the price would be much lower. Meanwhile, the product is at a much higher level of quality compared with these from small factories around China. The plate could be used to make writing board/blackboard/note board/display board. Good writing and wiping performance, smooth surface and anti-abrasion property. We could guaratee a lifetime of above 15 year for the board.